Polish vodka has a long-running history, and if you’re trying to go vodka tasting in Warsaw by yourself, you could miss out on a lot of the fun stories. 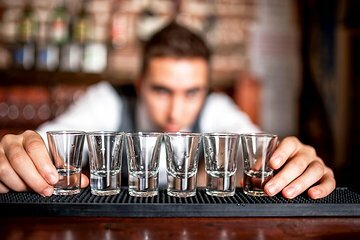 Take this vodka tasting tour, and set out with a guide to visit three vodka venues as you listen to tales from communist times. Plus, along the way, you’ll sample eight vodkas and enjoy a few small bites as pairings.